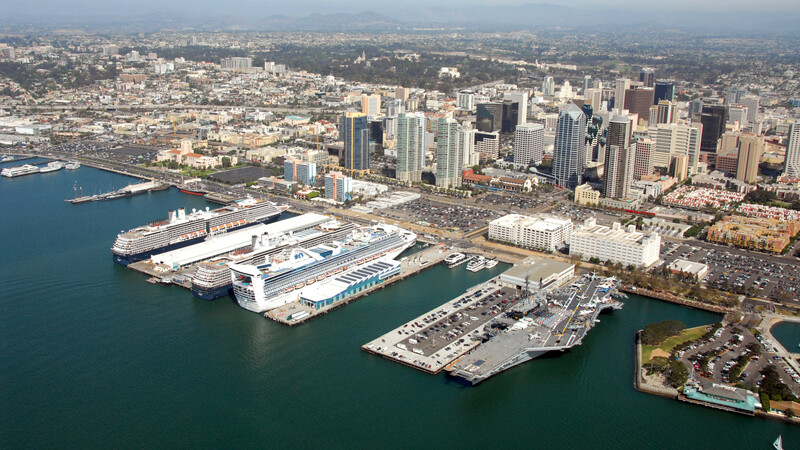 The Port of San Diego and the State Lands Commission Friday announced a partnership for integrated planning for the San Diego Bay tidelands and offshore ocean waters. The port manages land use issues in the bay and adjacent shoreline, while the state commission is responsible for ocean waters off the California coast. “Our historic agreement with the State Lands Commission to partner on planning for areas of the Pacific Ocean adjacent to port jurisdiction is a model of collaboration among public agencies for the greater good,” said Marshall Merrifield, chairman of the port’s Board of Commissioners. “This partnership will support scientific decision-making, management consistency across jurisdictions and robust public engagement,” he said. According to the port, the agencies plan to develop a pilot program that will inform future decision-making, including baseline environmental data, impact assessments, socioeconomic research and other information. The program will allow for “scientifically informed decision-making while maintaining consistency with applicable state, federal, and local laws, regulations and policies,” a port staff report said. The announcement of the partnership emphasized that public participation, accountability and transparency would be ensured.